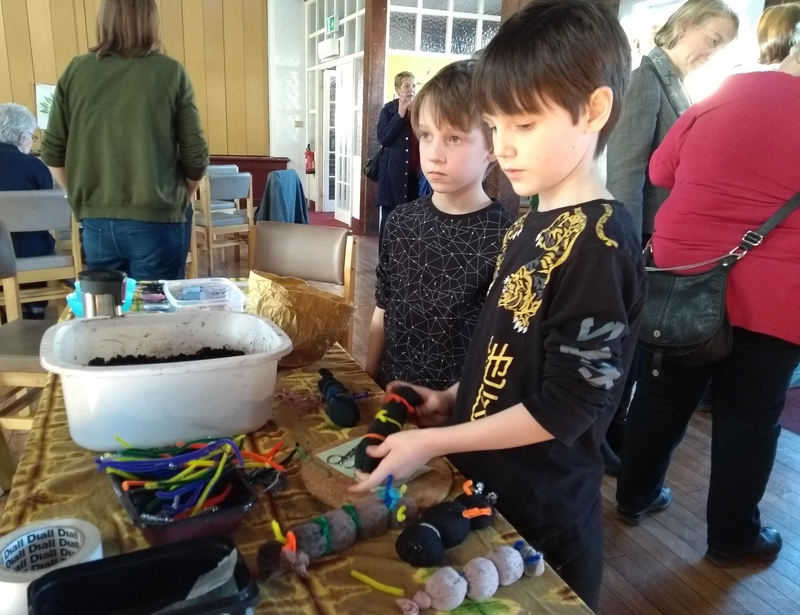 A great time was had by all at the Green Thinking Fair on Mill Hill on Saturday 23 February. 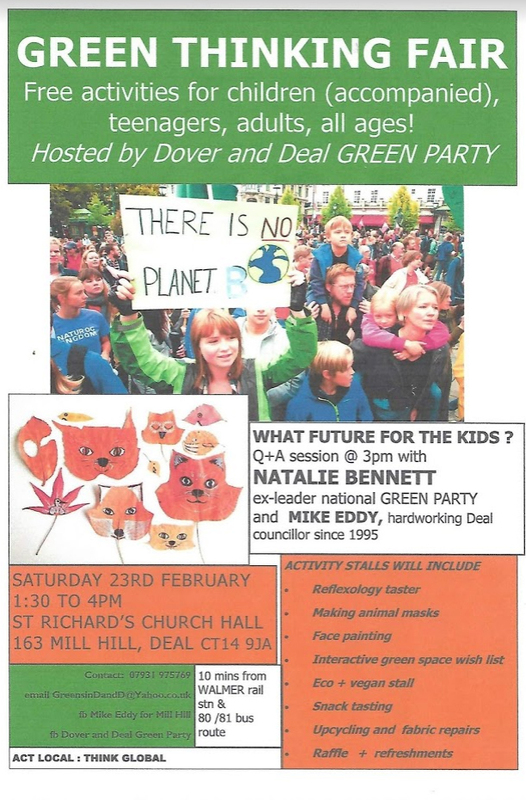 Held at St Richard’s Church Hall, the Green Thinking fair was a really upbeat and inspiring event. Mike Eddy said, “Thanks to all who joined us in Mill Hill especially the fantastic local stallholders (Anne’s reflexology, Mrs Howie’s Eco stall, Future Foundry, Margie’s vegan cakes, repairers from Dover Repair Café), artists (Penny Bearman, Pam Cutler and Kath Love and Plastic Free Deal + Dover) and musicians (the spine-tingling Seaward Band). There was a lively discussion on the problems of austerity Britain led by former Green Party Leader, Natalie Bennett. Natalie pointed out how, on many councils up and down our land, new ways are being found by Green Councillors to make councils carbon neutral by 2030. Bristol, Scarborough and Oxford are some of 25 examples of commitments made in the last two months. This entry was posted in News on March 19, 2019 by Sarah.